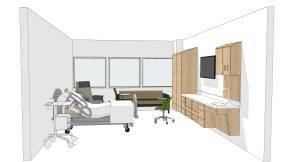 Opus is designed to meet the needs of patients and families in healthcare settings. Open shelves keep personal belongings in sight. A mounting surface for technology and whiteboard options encourages information sharing and learning. 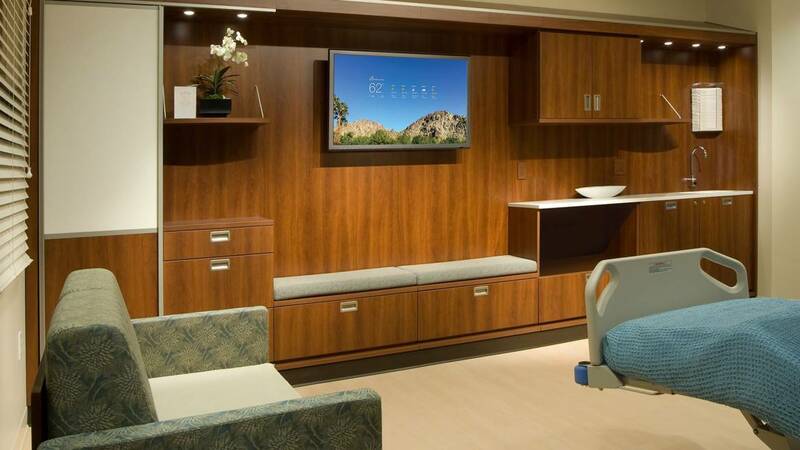 Lighting elements let clinicians and patients customize their surroundings. Opus combines the benefits of traditional freestanding casegoods with the flexibility of modular furniture. 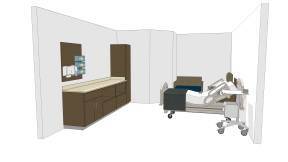 Components configure in multiple ways to create a consistent aesthetic across patient and exam rooms, consultation spaces and other settings – and to adapt as needs and processes change over time. Technology routing behind the cabinets allows for easy wiring and access, keeping cords safely hidden. 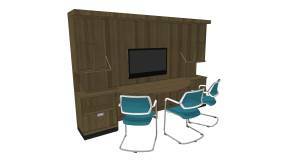 The Opus family also includes a mobile overbed table that provides an adaptable area where patients, families and clinicians can gather, connect and share. 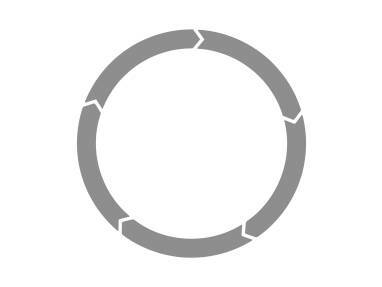 We can enhance the healthcare experience by enabling patients to take control of their journey and by facilitating connections among patients, families and clinicians. 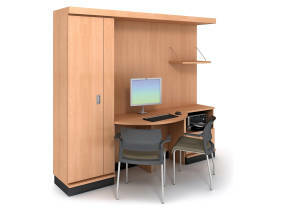 Creating places that accommodate important personal items. Designing settings that can be tailored to meet individual needs and preferences. Integrating technologies and tools that encourage communication, information sharing and learning. Modular, flexible solutions can serve multiple purposes in different places and over time as needs and processes change – all the while creating a professional, uniform aesthetic across healthcare facilities.